Water wells are the best option for water supply in remote areas but that’s not the only reason why you may want to invest in one. People often want to get a water well since you know exactly where your drinking water is coming in from and how it is treated. Other people want their own source of water and cut costs for water bills. Water wells have been around for a really long time and nowadays, the technology makes them more accessible than ever. Whether it’s for commercial or residential use, the water well will be able to improve your water supply system. However, well drilling is a meticulous process that needs to be treated with care. Professionals can handle this procedure in a more efficient way so that you don’t have any problems in the future. Here is a guide if you are planning on getting a well for your home. How Long Does It Take To Build A Well? The procedure can vary according to different factors including depth, quality of soil, and the water table. Generally, building a well can take a few days but the process doesn’t really end there. The water you are getting in the well needs to be tested to ensure that it is safe and healthy. It can have fertilizers, nitrates, or bacteria. You may have to install filters to ensure that the water from the well is safe to use. 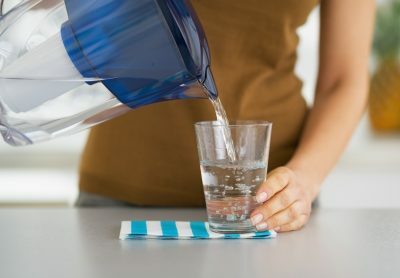 How Regularly Do You Need to Test the Water? The initial test is not enough to ensure that the water will be safe forever. Well drillers can visit regularly for testing and maintenance as per your needs. However, as a homeowner, you should also note changes in the color, taste, and smell of the water. Since you will be using this water for cooking, drinking, and bathing, you should be careful of the changes in the water supply. Most water sources are actually safe for drinking but it is recommended to take some safety measures in case. Groundwater may have increased iron levels due to water hardness. Even though it isn’t harmful, it may create an odor. The excess iron will also begin to build up in your plumbing system which can cause a lack of water. Iron can also cause some appliances to malfunction if it builds up too much. The filter will keep any unwanted minerals away from your plumbing system. Installing a new filtration system will not take up much time and will last you for a long time. Water wells are really beneficial for homeowners since they can help you cut down on monthly water bill costs. It is the best option for people who live in remote areas where a big plumbing system isn’t in place. 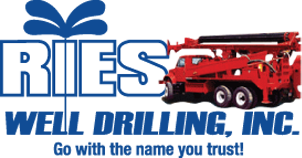 Give Ries Well Drilling Inc a call to answer any questions you may have regarding your water well. We can be reached at (586) 784-9516!